LAVAL, QUÉBEC--(Marketwired - June 6, 2017) - Urbanimmersive Inc. ("Urbanimmersive", "UI" or the "Company") (TSX VENTURE:UI)(OTC PINK:UBMRF), a real estate content marketing platform, is pleased to announce the signing of a 5-year affiliate program agreement (the "Agreement") with ID-3 Technologies ("ID-3"), a leading Québec real estate website provider, for the use of Urbanimmersive's real estate content marketing platform (the "Solution") for 100% of their real estate customer business transactions. All customer business transactions taking place on the platform will grow Urbanimmersive's top-line revenue and Urbanimmersive will then take a transaction fee in line with its current pricing model on each transaction generated through its platform. The real estate division of ID-3 generated contractual annual recurring revenues of approximately $1 million for the last fiscal year. ID-3 is the leading Québec real estate website providers, currently offering integrated solutions for online visibility and promotion, customized management and electronic commerce over the internet, specifically tailored to the real estate brokerage market. ID-3 is serving more than 3000 real estate agents in the province of Québec, Canada. The Affiliate Agreement with this real estate website developer is an example of how Urbanimmersive's Affiliated business model can rapidly leverage the Company's Content Marketing platform revenue. By allowing real estate website developers to easily integrate Urbanimmersive's visual content marketplace to their website product offerings and generate revenues from it, this affiliate program allows Urbanimmersive to reach more real estate professionals quickly with the strategy to bring the solution as the standard in the industry for the production and publication of original real estate content. 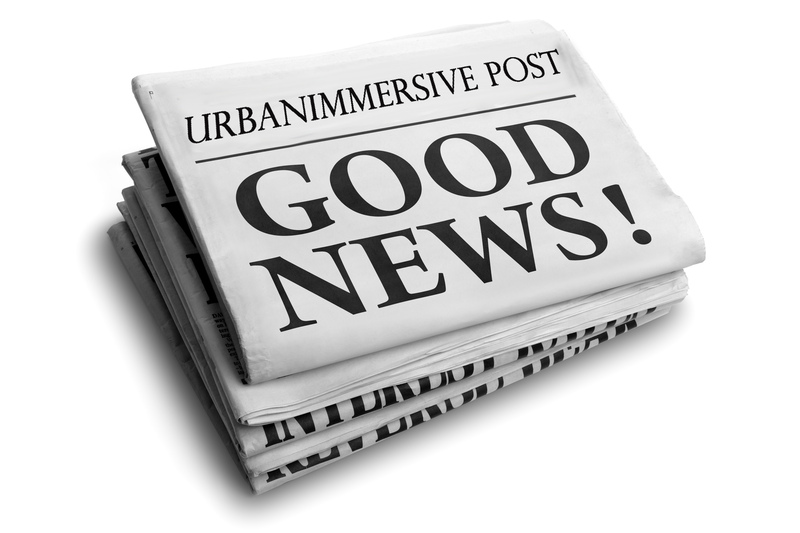 The Affiliate Agreement will also allow ID-3 to use Urbanimmersive's real estate blog content management solution. Using an Application Programming Interface (API) developed by Urbanimmersive, ID-3 will incorporate UI's white labelled written content solutions into their clients' website. In doing so, their customers get a blog section on their real estate website and have access to all features and services offered by Urbanimmersive's real estate blog solution. Urbanimmersive's written content solution includes on demand real estate articles writing, proofreading, translation services and a library of exclusive real estate blog content articles ready to publish. Such as the visual content marketplace, all writing transaction services taking place on the Company's blog content management solution will grow Urbanimmersive's top-line revenue and Urbanimmersive will then take a transaction fee in line with its current pricing model. Furthermore, the Agreement will provide ID-3 customers with a privileged access to the new Urbanimmersive's real estate property description vocal transcription feature recently announced by Urbanimmersive in collaboration with Atmanco (TSX VENTURE:ATW) (see press release dated May 31, 2017). Jocelyn Archambault, CEO of ID-3 said, "It's such an achievement for a platform to ramp up so quickly in the real estate market so that when we were approached by Urbanimmersive, we knew we had to seriously considered the affiliated program and the decision to proceed became obvious. We are very excited to join this transformative real estate content marketplace developed by Urbanimmersive and have clear intentions to actively participate in its historical success." Many visual content providers have recently joined Ui's affiliated program (see press releases) but ID-3 is the first real estate website developers to join Urbanimmersive Marketplace's Affiliate Program bringing with them contractual recurring revenues. The Affiliate Program is offered to providers ready to use Urbanimmersive's Marketplace solution for 100% of their real estate business transactions. The Affiliate Program offers a white label ordering interface, presenting only services offered by the developers or by other Marketplace's content providers selected by the developers. It also provides a dashboard to manage bookings and payments from incoming customer phone calls, emails and SMS. Pursuant of this game-changing Agreement for the Company and in consideration for the Affiliate's exclusive use of Urbanimmersive's Solution and the transfer by the Affiliate of its customers on the Solution, subject to TSX Venture Exchange approval, Urbanimmersive will issue to the Affiliate 1,066,667 common shares of the Company listed on the TSX Venture Exchange under the symbol UI. V (the "Issued Shares"), for a total equity value of $160,000 based on the closing price on the TSX-V of C$0.15 for Urbanimmersive's shares. The transaction has been unanimously approved by the boards of directors of both companies. In addition to any statutory restriction, all Issued Shares issued will be subject to a mandatory holding period and restriction on the transfer of eighteen (18) months and one day from the Issue Date. Urbanimmersive is a content marketing marketplace for real estate professionals. The Company connect real estate professionals, photographers and writers in order to simplify and optimize original content production workflow. Urbanimmersive enables its customers to leverage their marketing investment while increasing productivity, competitiveness, their web visibility, consumer engagement with their brand and ultimately, their revenue.